Deb was like most of the rest of us. She was responsible. She took care of herself and her family, got an eye exam once a year, and visited the dentist every six months. She also made sure that she had an estate plan in place and even reviewed and updated it regularly. Imagine her surprise when she discovered that the estate planning attorney she had relied on for the past ten years was retiring! It’s not something we often stop to think about, but attorneys and other professionals experience life changes like anyone else. They may change careers or experience an illness or disability, or they might retire or even pass away. What should you do when your estate planning lawyer no longer practices law, for whatever reason? There are a few steps you’ll need to take. First, if you left any original documents in your lawyer’s care, contact his or her office and arrange to retrieve those documents as soon as possible. You don’t want any important items to be lost in the shuffle as your lawyer makes his or her transition. Second, find out what the file maintenance plans are for your attorney’s office. If you need to track down your records in the future, will you be able to? How and where will you locate your records? It’s a good idea to get a copy of your file so that you’re sure to have it in case you need it. Next, you’ll need to find a new estate planning attorney. Especially if you had a good relationship with your former lawyer, this can seem like a daunting task. However, there are some things you can do to make the process easier. You can ask friends, relatives and colleagues for the names of attorneys they’ve enjoyed working with. 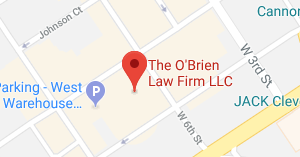 You can check with your local bar association for the names of attorneys in the area, and you don’t want to ignore the power of the internet as a resource for finding an attorney. Make sure you choose an attorney who is experienced and well-qualified. Find out whether his or her primary focus is on estate planning. Also ask how much continuing education the attorney pursues each year in estate planning and related areas of law. As you might guess, the more continuing education an attorney receives the better. Most states require at least twelve hours of continuing legal education annually. But certain membership organizations, like the American Academy of Estate Planning Attorneys, insist their member attorneys maintain 36 hours of continuing education each year. Above all, you’ll want to select an estate planning attorney with whom you feel comfortable. After you’ve selected your new attorney, make an appointment to sit down and review your current estate plan with him or her, and to discuss your current situation as well as your plans and goals. Especially if it’s been a while since you’ve revisited your estate plan, now might be the perfect time for an update. Plus, the more your new attorney knows about you and your family, the more prepared he or she will be to help you should an emergency or a problem arise in the future. Lawyers and other professionals experience transitions like everyone else. When your estate planning attorney is no longer available to help you, the best thing you can do is to quickly find a qualified and experienced replacement. You’ll rest easier knowing you have a trusted professional you can rely on in case of a tough question or a difficult situation.